GIGABYTE entered the SSD market last year somewhat timidly with entry-level SATA drives, and they've been working their way up the market since. Their new Aorus RGB SSDs are high-end NVMe drives designed to catch the attention of gamers. Both M.2 and PCIe add-in card models are hitting the market starting today, and we're taking a look at both of the M.2 models. The Aorus RGB SSD is based on the now familiar combination of Toshiba 64-layer 3D TLC NAND flash memory and the Phison E12 controller. 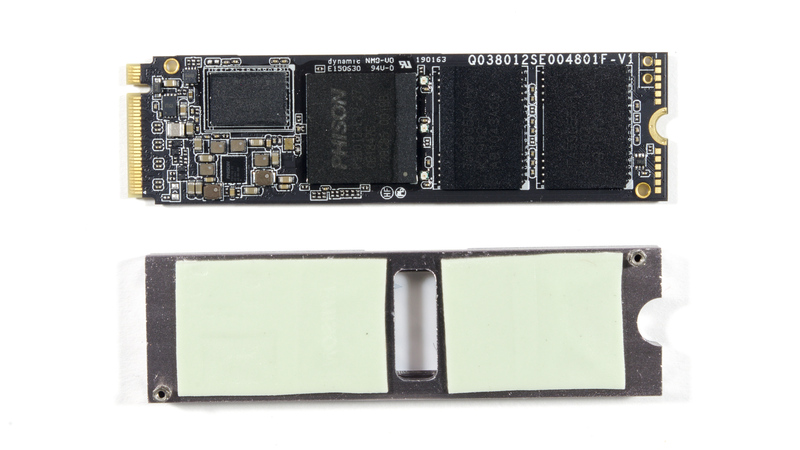 We've repeatedly found this combination to be competitive in the high-end NVMe market segment, though all of our previous tests were in the 1TB capacity class. The Aorus RGB M.2 is our first look at the performance of smaller E12 drives, which are unavoidably challenged by having fewer NAND flash chips to use in parallel. The Aorus SSDs aren't the first M.2 drives with heatsinks that we've tested, but they are the first M.2s with RGB LEDs to cross our testbed. We have previously reviewed RGB SSDs in larger form factors (SATA and PCIe add-in cards) and often find that the premium aesthetics aren't backed up by premium performance. That is not likely to be a problem for the Aorus SSDs given the choice of the Phison E12 platform. The Patriot Hellfire and Team T-Force Cardea represent the first generation Phison E7 NVMe controller, paired with Toshiba planar MLC NAND. The ADATA XPG SX8200 represents Phison's main competitor Silicon Motion, with the SM2262 controller and Micron 64L 3D TLC. The SX8200 is being replaced with the SM2262EN-based SX8200 Pro, but we only have that in the 1TB capacity.